Do you know that the dark stains on your building’s roof act as an absorbing agent for the sun’s heat? While this may be the reason for an increased temperature inside your building, this may also be costing you higher energy bills! Thus, the frequent cleaning of your roof actually does make sense since it is not just for aesthetic purposes. Following that, the issue is not just the dust, it is the fungi and mold that is healthy enough to significantly damage the shingles installed on your roof. While in majority of the cases, the dark stains are the result of resilient algae, at other times, the situation is faced because of the inhabitation of mold or fungi on a roof’s deck. Failing to understand the difference between algae and roof mold and performing the cleaning as a DIY task will only end up in making it worse. 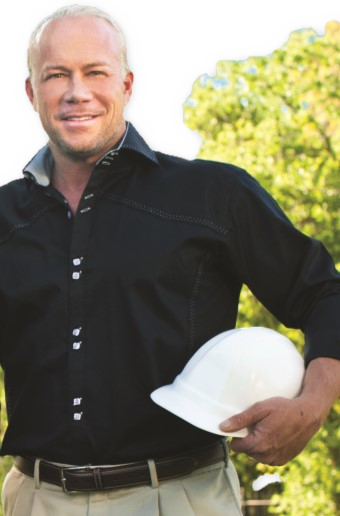 Instead, hire a professional roofer in Irving, TX to get effective results. Talking about commercial roofing in Irving, TX, many people usually confuse the presence of mold or fungi with algae. Generally, the black stains are capable of harboring a number of molds. Similarly, unlike algae, fungi present on our roofs do not have chlorophyll. This makes them incapable of manufacturing food on their own from the raw material and they must acquire the nutrition from organic matter. Also, they require an adequate warm and humid environment to survive. Hence, a roof that is severely exposed to different temperatures and is neglected when cleaning is the perfect place for the mold; to not only survive, but also to reside peacefully. Is it algae or roof mold? While algae may look green in color on a pond, it might appear black or very dark green on a roof’s surface. 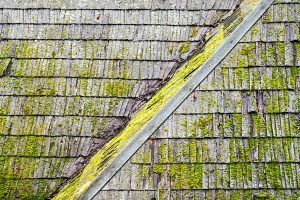 Since the roof algae resembles a mold so much, it is sometimes also referred to as toxic mold or a black mold by commercial roofers in Irving, TX. While a commercial roofer in Irving, TX will give a professional insight about the growing mold or algae on your roof, you would still find it difficult to be sure of it unless the roofers in Irving, TX test the roof for either of them. In view of this fact, it is easy to remove the roof mold or algae with the use of some readily available chemicals in the market. However, sometimes, it becomes very hard to clean the roof of mold or algae without seeking the services of a professional commercial roofer in Irving, TX. Some materials like wood need special techniques, depending upon the roof type and extent of the grown mold. For the very same reason, it is essential that you get your roof tested by hiring a commercial roofer in Irving, TX so that you don’t end up dealing with algae as roof mold and vice versa. Does the unsightly roof mold destroy the roof shingles? Undoubtedly yes! While the roof mold may be unsightly, in more harsh cases, it begins to destroy the shingles almost immediately. Where some algae and other fungal growth may only cause shingle discoloration, in other cases, the extent of damage may increase significantly. Certain airborne fungi or algae may also grow on roof shingles, leaving behind black or dark green ugly stains of a roof mold. With that, the roof mold is also likely to hold moisture against the roof shingles that simply accelerates the damage significantly. Furthermore, in the case that we don’t pay timely attention to the growing issue, this will ultimately result in shortening of the life of our roof shingles. How can we prevent the damage caused by the roof mold or fungi? Although we cannot control the starting of a mold growth, we can prevent the damage that it causes to our commercial building’s roof. This can be done by proactively taking some measures that are not only tested but also advised by the commercial roofers in Irving, TX to help-prevent the growing roof mold. It is important to ensure that the rain gutters effectively direct the water away from the roof. Moreover, keeping the gutters clean and free of any kind of debris is also an important measure to take. A clogged rain gutter will make the water stay on a roof’s surface, hence, increasing the moisture and damage to its surface. It is suggested to use the leaf blower to get rid of the excess debris as soon as it starts accumulating on the roof’s surface. Another important measure to take is the timely and prompt repair and maintenance of a roof to avoid inviting more damage and uncertain growth of fungi. An already damaged roof is likely to be more prone to mold and fungi infection than a roof that receives timely attention of a commercial roofer in Irving, TX. Always keep the trees around the building trimmed. This will allow direct sunlight to fall on the roof’s surface which will decrease the excess moisture on a roof. Also, this will help in keeping the falling leaves and branches/debris away from the roof deck. In the case that you did take the preventive measures but somehow have mold growing and destroying your building’s roof, then you must get your roof cleaned immediately. Remember that using the wrong mold removal product or equipment (or without seeking the expertise of a professional), you might not only be left with the mold remaining on the roof’s surface but also the cost of a roof’s replacement. Therefore, if you are currently looking for mold removal from your building’s roof surface, we recommend hiring a professional commercial roofer in Irving, TX. The qualified professionals like Anderson Industrial Roofing not only know how to safely remove the mold but their expert team is also well-versed in improving the appearance of any roof type and the longevity of your building’s roof. This entry was posted in Commercial Roofing Company, Roof Inspection. Bookmark the permalink.